Austin didn’t earn its “Live Music Capital of the World” reputation by mistake; it earned the title by supporting its local music-makers with ample opportunities to play to live crowds hungry for good songs performed by fellow Austinites. If you’re looking to do your part and take in all the sweet tunes you possibly can from local artists, read on to learn where to catch your favorite Austin musicians this summer — and if you’re looking to hire local talent for your next big event, we’ve got some very good news. From rock & roll and retro pop to heady jazz and hip-hop, there’s something in the air just for you, so listen up. If you’re looking for some “stormy, seductive blues-rock thunder” with “riffs for miles,” (those are NPR’s words, but we agree with them wholeheartedly), look no further than gifted Austinite Emily Wolfe, whose sweet guitar licks have been satisfying the likes of Led Zeppelin and Joan Jett fans alike for years. With equal parts sweetness and snarl, Wolfe is laying down tracks in the studio this summer, but you can likely catch her at impromptu gigs as they pop up around town. Her recent birthday show at Stubbs was a sold-out floor-stomper, and she’s available for hire at select private events. Word to the wise: catch her while you can, because this particular star is rising fast. For some real-deal, old-school Austin vibes, head to the legendary Continental Club on a Sunday night. That’s where Heybale‘s been serving up down-home honky-tonk goodness on a weekly basis for the past 18 years, with no signs of stopping anytime soon. Originally formed in Nashville, the band moved to Austin in 2000 and never looked back. 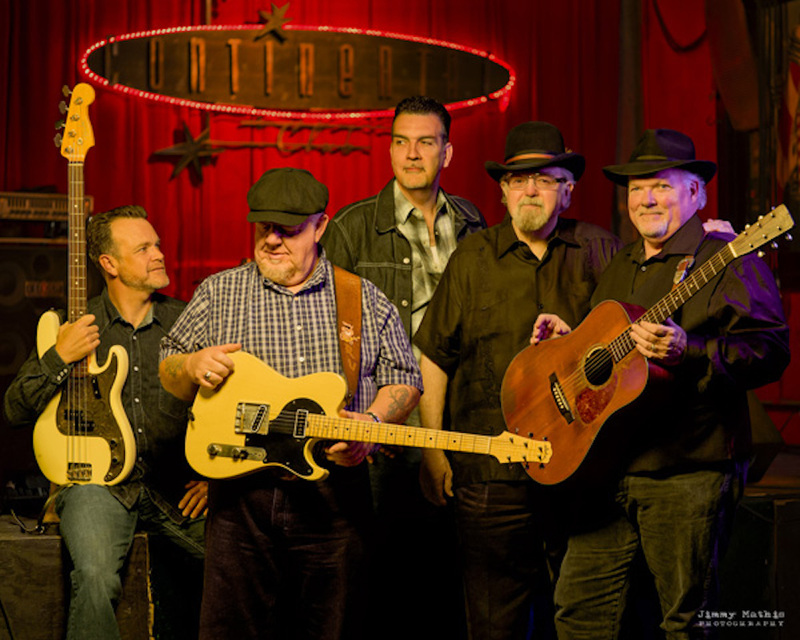 With Tom Lewis on drums, Redd Volkaert on guitar, Earl Poole Ball on keys, Kevin Smith on bass and Dallas Wayne pulling it all together on rhythm guitar, this five-piece knows a thing or two about getting folks to shake a tailfeather. In case you were under the impression that there’s no hip-hop scene in Austin, we’re here to inform you otherwise. Riders Against the Storm haven’t just won the Austin Chronicle‘s “Band of the Year” honor once — they’ve won it twice in a row, and that’s an honor only shared by the likes of Spoon and Los Lonely Boys. The Statesman calls this dynamic husband-and-wife duo “a post-millennial second coming of George Clinton’s mothership,” so if you’re ready to feel the funk, then let Chaka and Qi Dada get you moving immediately. Buckle your seatbelt and check them out (along with other bombastic acts paying tribute to Stevie Wonder and Outkast) at BodyRock ATX on July 6 at Empire Control Room. Blending vulnerable singer-songwriter sensibilities with jazz-tinged vocals and just a touch of Bonnie Raitt in her delivery, Drew Davis can definitely make you love her. Davis’s music can be found in feature films, heard on television shows across Showtime, Bravo, MTV and more, or enjoyed live most Wednesday nights at Whisler’s on the eastside. Performing since she was just 11 years old, she’s been compared to everyone from Fiona Apple and Grace Potter to Patty Griffin and Brandi Carlile. She’s available for corporate events, too, to give the room that little extra something. Want a team of pros to pull together your next big event? Put Kennedy on the case and we’ll handle every last detail.